One might list quite a long list of reasons Blue Fountain Media deserves its spot on this site's list. Consider but a few. 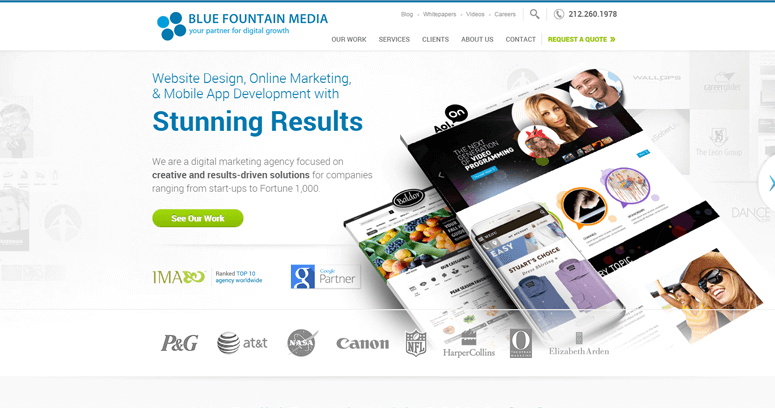 First, Blue Fountain Media has been able to amass a handsome list of brands with which it has worked in its years of existence. A firm would never just luck into a list of clientele that includes names like Sotheby's, Sharp, Harper Collins and AT&T. Secondly, they are a Madison Avenue firm, and firms do not simply magically acquire such a lofty street upon which to anchor their business. Addresses on that lane must be earned. 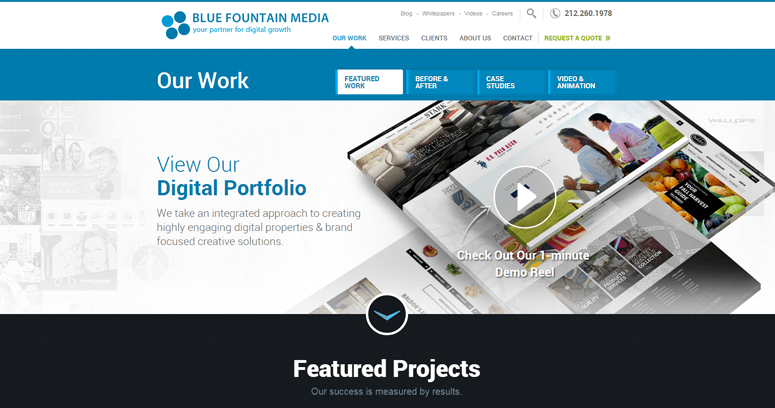 Third, Blue Fountain Media has driven and professional people working for it. They listen to their clients, and they work smart and hard to deliver on their promises to their many clients. 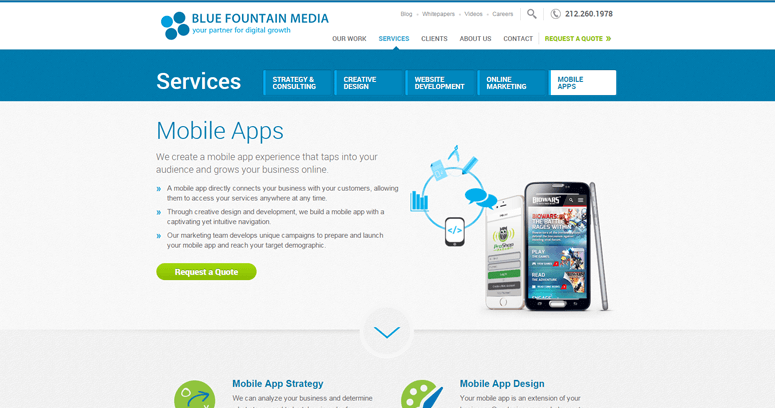 Perhaps, any potential client reading this should plan on speaking to Blue Fountain Media.